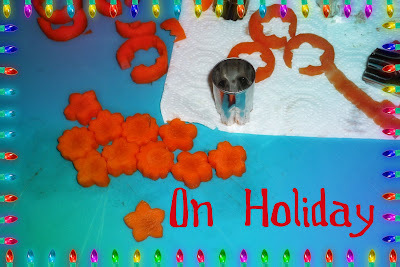 On Holiday... See You Next Year!!! There aren't many bentos to be packed when we are on holiday! So we'll see you next year, when school is back in session. Every year, we load up in the car and hit our favorite neighborhood to view Christmas lights displays. This one house in particular always has the most over the top displays, which I tried to capture. Moving window displays, a choo-choo train, Santa sitting at the formally set dining room table, reindeers on the roof and in the yard! Enjoy. Sorry for the audio, I put the music track over to distract from my chatting. Yes, I do say Baby Chuckie up in the window, in case you are wondering. Let's not beat around the bush, I am a TEA FANATIC. Hot, cold, iced, spiced, sweet, unsweetened, plain, organic, black, white, green, chai, on and on... Tea, I love tea. Only problem with many ready to serve tea products on the market is that they are full of the stuff I loathe, high fructose corn syrup. 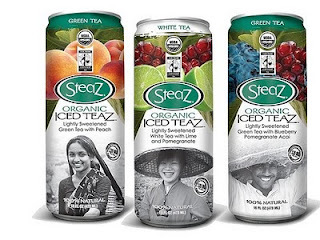 But a product I've been enjoying from Whole Foods Market, Steaz Iced Teaz is now available at Target! Can I get a hallelujah! We all know how often I'm at the big red store, so when I found out I could buy Steaz there I was beyond thrilled. Steaz sent me a box of their canned iced teas for free, containing Green Tea with Peach, Green Tea with Blueberry Pomegranate Acai, and White Tea with Lime and Pomegranate. Why do I love Steaz? 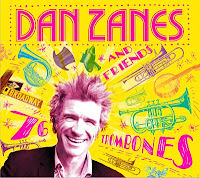 My Gift For You, Escape The Holiday Music Doldrums With Some Help From Dan Zanes!!! One day about five years ago I found myself driving in my car, all alone. About ten minutes into my drive, it hit me, I was listening to my daughter's music. In my car alone. In that moment I felt silly, but it was a glimpse into how important it is to like the music you play for your children! Right about now, I'm assuming we've all had it up to our ears with holiday music. Holiday music in the car, in the house, on the iPod, in the stores, at the doctor's office, in the bathroom of the grocery store. Holiday music, holiday music. Well, I've met my holiday music threshold. I know a couple of you haven't met your holiday music threshold, but soon enough you'll be looking for new music to fill the void. Over the past year, one of the most tender subjects I've touched upon here is my friendships. I wrote a post back in April called, Having The Courage To Say What's Missing. Really I was throwing myself a little pity party, but those feelings needed to be expressed. Today, when I sit here and think about my friends, I feel grateful. 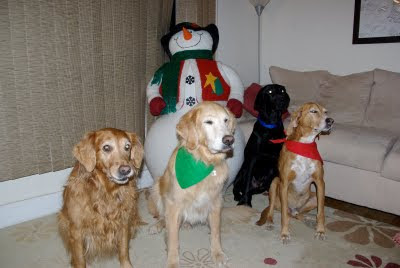 I feel content that they have all come into my life at various stages, but have amazingly stuck by me. A few weeks ago I was asked to join a women's group. Quite simply put it's a gathering of 10 women (9 of which were strangers to me), kind of like book club with out the pressure to read a book. Heck, I've been in book clubs and the majority of the time we just wanted to talk about everything BUT the book. For me the women's group was an opportunity to experience something new, take a bit of a leap of faith and put myself out there to see what the group would be and feel like. Honestly, I had no idea what to expect. You Bento, But What About All This Stuff? There comes that day for everyone who loves to pack bentos, where am I going to put all this stuff? Yes, the upside to packing bentos far surpasses the downsides, but organization is the key to successful bentoing. See this drawer to the left? I have three very oversized utensil/silverware drawers in my kitchen. They allow me the luxury of storing items out of sight, that would typically be displayed on counter tops. I like that, it keeps my kitchen feeling harmonious. Only problem is, the bento accessories have taken over. This particular drawer is the one I use most often, the left side divider once contained our every day go to utensils. Slowly over time (since August) the bento items started to creep in. 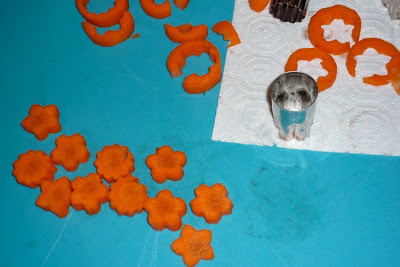 Cookie cutters, silicone cups, and picks are the main culprits. They are bento items I use every single day, I like to have them at my finger tips. But stealing my coveted utensil spot, not so much. This drawer is on my to-do list. Will update when I get to it. There are pros and cons to celebrating your birthday just two short weeks before one of the biggest gift giving holidays of the season. Con, at some point gifts evolve from birthday presents to Merry Christmas/Happy Birthday presents. Friends and family no longer decide to dig out cute polka dot paper for your gift, they use left over Santa paper. But with age, I've come to accept a December birthday as a blessing. Why? The blessing of reflection. I personally recognize birthdays as milestones. With milestones, one has the ability to take a moment to reflect upon the year that has passed. For me, I wondered if I accomplished meaningful things this past year, have I been kind and lived a conscious life? Then on the flip side, when blowing out the candles, hopes and wishes for the year ahead come rushing into my mind. Having a few weeks jump start on the New Year, I can begin working through my goals early, honing in on where to focus my energy come January 1st. Saturday I hosted a party, unlike any other party I've ever hosted. Details will be coming soon on my little gathering, trust met it deserves it's own post. I had a wonderful time. I laughed, smiled, and felt overjoyed to be able to hang out with my girlfriends, that have never gathered in one location together. 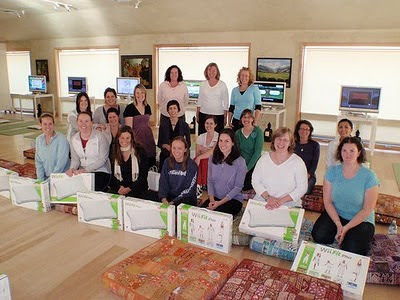 This gathering made me grateful to have so many caring and generous women in my life. My husband and I had a babysitter last weekend, Woohoo! So we decided to go Christmas shopping, BooHoo! Just kidding. Although things didn't quite turn out as I planned. 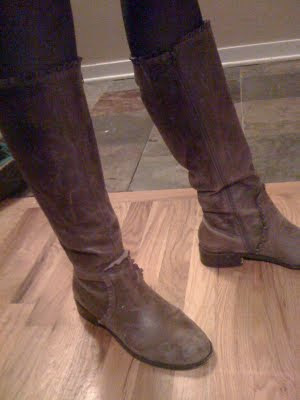 *This post was not sponsored by Anthropologie, but I would be open to any freebies they would like to throw at me. I'll write all day and night for Anthro. Have you ever been overly consumed with something so menial that you actually wrote a blog post about it? I'm sure I have explored menial topics over the past couple of years. But the last few days have been rough because of a little problem I'm having. Okay maybe it's not little, for you see I can't let it go. In case you live in a lovely part of the country where it's not freezing out, hello it's currently below ZERO. Unlike typical Colorado weather where it's snowy and cold for a couple of days, maybe three tops, the cold just doesn't seem to be going away. Cold and snow for well over a week now. No warm Colorado sunshine melting the snow, warming the house, warming my spirit. 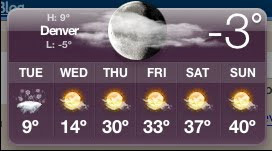 It's fine, I'm not really here to complain about the temperature, I'm here to complain about something much more urgent. Finally, it's happening. My husband and I are taking our girls back to upstate New York to visit our families. Our youngest who is about to celebrate her third birthday has never made the trip back. The last time I was upstate she was in my belly. Incredible how the time flies. Quite honestly during the winter is not my ideal time to visit New York. Summer is my ideal time, but this summer the airplane tickets were astronomical. Like so expensive that I could fly to Europe for cheaper. Random airlines, downturn in economy, jack up prices? We kept our search up, trying to work school schedules and my husband's work schedule, the stars aligned and we found decently priced tickets. Hooray! This week started slowly. An entire week of break is a transition to bounce back from. Lucky for me, my husband has been packing Sj's lunch each morning. Which means, I don't have photos for posts. I think I need to get him on board, so we can have the "Dad Bento" perspective. He does a great job making a typical lunch and I am grateful for the help when I'm not back into the swing of things. Bento Less Breaks, Whimsical Muffin Tin Meals At Home! During school breaks, like last week, I didn't pack any bentos. 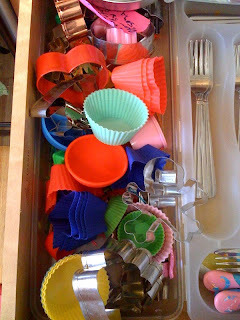 Although I do occasionally make lunch or dinner in cupcake/muffin tins for my daughters. It's a refreshing change to see everything in little cups. They are a big fan of it and it makes dinner/lunch just a bit more whimsical for them. In the past I've also used ice cube trays as an alternative, it provides many small options which is perfect for a picky eater. 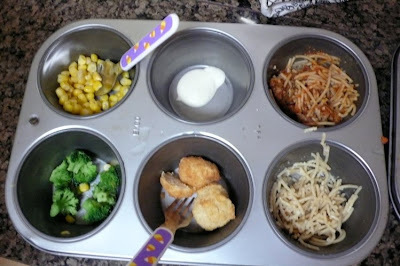 Give muffin tin meals a try at home, surprise your kids. In turn they may just surprise you with their eating!